I’d like to introduce B.R.A.G. Medallion Honoree Billy Garrett to Layered Pages. 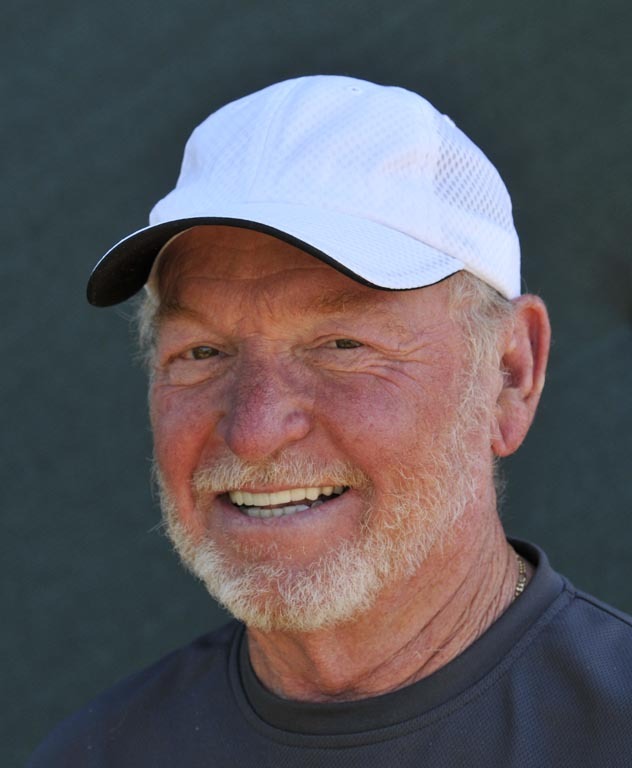 Billy is a retired general contractor living half the year in Bend, Oregon and the other half in Palm Desert, California. He loves fishing off the coast of Oregon, hanging out with his five grandchildren, writing and playing the guitar. “The Secret Life of Tumkit,” is his second book. His first book is a memoir called, “Behind Sight,” which is a best seller on Amazon and was just recommended by Kindle as a must read. Thank you, Billy. Please tell me how you discovered indieBRAG and what has your experience been like with self-publishing so far? I discovered Indie BRAG through Goodreads. For me, now that my children’s books is finished and published, I felt it important to get as many good reviews as possible, especially from notable and respected book reviewers. In my search for professional reviewers I quickly learned that most of these reviews cost a lot of money. I certainly have no problem with folks making a profit, but how would I know if my children’s book was really worth reading if I was paying them to give it rave reviews? So I decided to research a trusted friend, Goodreads, for a top notch honest reviewer and that’s how I found the amazing folks at B.R.A.G. Medallion. They’re clearly not in it for the money. They’re mission is to discover and recommend only the best of the best indie books to their loyal followers. My experience in the self-publishing world has been a little bit of a roller coaster ride. So much to learn and no prior knowledge of this confusing world caused me to follow many a dead end path. I, like many other indie authors, sent out my polished query letters to agents only to discover there were no return emails offering six figure signing bonuses and movie rights. I did receive one offer from one of the big shot publishers, but when I read their contract stating their share of my book sales would be 90 percent I was stunned. They wanted me to travel to book signings, do interviews and solely promote my book at my own expense, while only paying me 10 percent. So I shut that door and with all my might pushed open the giant 8-foot high solid oak door that leads into the never-ending maze of the self-publishing industry. I’m so thrilled I made that decision. What a fantastic and exciting adventure it’s been! Now that I’ve received a huge pat on the back from Indie BRAG I now have the confidence to keep writing. Am I correct to say that your inspiration for writing this book was for your grandchildren? Yes, I did get the inspiration for writing this story from my grandchildren but not in totality. I also wanted to see if I could remember how to use that wonderful gift of imagination that I once had as a child. Somehow that instinctively playful side had become lost or forgotten and had been replaced with the responsibilities of adult life. I was offered this challenge of remembering when my nine-year-old grandson, who was sitting next to me on my back porch, spotted a baby rabbit resting in the middle of the backyard. The rabbit seemed peaceful and unafraid of our presence and curiously it had lost part of its ear. “Grandpa, what happened to his ear, where’s his mom, and why is he not running away?” Great questions, I mumbled in my thoughts. That night I laid in bed thinking of answers to his unanswerable questions and that’s how this story was born. Please tell me about your story of Tumkit? 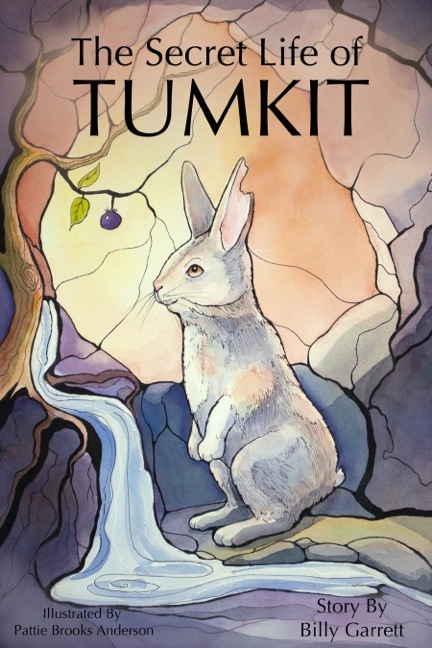 “The Secret Life of Tumkit” is a story about a baby rabbit that was destined to die of starvation until a shrewd and fearless mockingbird, named Vella, discovered Tumkit and brought him a magic berry. The berry came from a solitary bush that grows in a cave near the top of Laurel Mountain. Vella warns Tumkit the bush is struggling to survive and unless they act quickly the supernatural powers of its berries will be lost forever. Tumkit, Vella and Sully, a one year old buck and loyal friend to Vella, travel up the steep mountain in a desperate attempt to save the bush. Their quest takes a dangerous turn when they encounter Borwong, an angry and heartless grizzly, who refuses to allow anyone on his mountain. Could you give me an example of one of the major conflicts in your story? The biggest conflict in the book happens towards the end of the story when the animals try to remove the grizzly from Laurel Mountain and save the magic berry bush that was dying because it desperately needed water. Up the mountain they went to where the dam was diverting the stream. Sully lowered his wide antlers beneath the dam and with his strong legs pushed the branches aside. He kicked the rocks down the hill and the spring water began flowing toward the magic berry bush. In their excitement, they paid no attention to the noise the rocks were making as they tumbled down the mountain. A loud angry roar bellowed above them. It was Borwong. The grizzly was standing on his hind legs forty feet away shaking his head back and forth. He must have been eight feel tall! He roared again exposing his three-inch fangs. He lowered his body and began walking toward them slapping the ground with his front paws, his fat belly jiggling with each step. Borwong was so mad all the brown hairs on his back stood straight up. Vella flew to the top of a nearby tree and screeched as loud as she could, “Run, run get out of there,” she hollered to Sully and Tumkit. Sully scraped the dirt with his front hoof. He reared up, lowered his sharp massive antlers and charged Borwong. “Stop, Sully, he’ll kill you!” Tumkit shouted. Borwong stood back on his hind legs and with one swat slapped Sully to the ground. Tumkit watched helpless as Borwong circled Sully’s limp body. Blood was dripping from the bottom of his antler. “You didn’t hear me. The mountain and everything on it is mine, including that bush,” Borwong roared again and walked towards Tumkit, stopping four feet in front of him. “Please Borwong, let the bush have the spring water. You have no need for that bush, you can’t even fit into the cave to get the berries,” Tumkit begged. Tumkit is an amazing little rabbit. He’s smart, brave, kind and most of all a very forgiving and gentle soul. How would you describe the dense forest where the story takes place? When I think of a dense forest many images come to mind. Tranquil, beautiful, quiet, mysterious and possibly dangerous are just a few of the many wonderful things I find adventuresome about a forest. This story takes place deep within the forest where no humans live. What age group dose this book fall under? “The Secret Life of Tumkit,” is perfect for ages 6-11. Thanks for asking. Pattie Brooks Anderson is an amazing artist who designed the front cover and most of the interior illustrations. She is a retired high school art teacher and has worked as a commercial artist most of her life. Within the book there are two other illustrations that are special to Pattie and I. A very talented 10-year-old artist named Nicole drew those illustrations. The print book and eBook can be ordered through Amazon, Barnes and Noble, and most other outlets. We are delighted that Stephanie has chosen to interview Billy Garrett who is the author of, The Secret Life of Tumkit, our medallion honorees at indieBRAG . To be awarded a B.R.A.G. Medallion TM, a book must receive unanimous approval by a group of our readers. 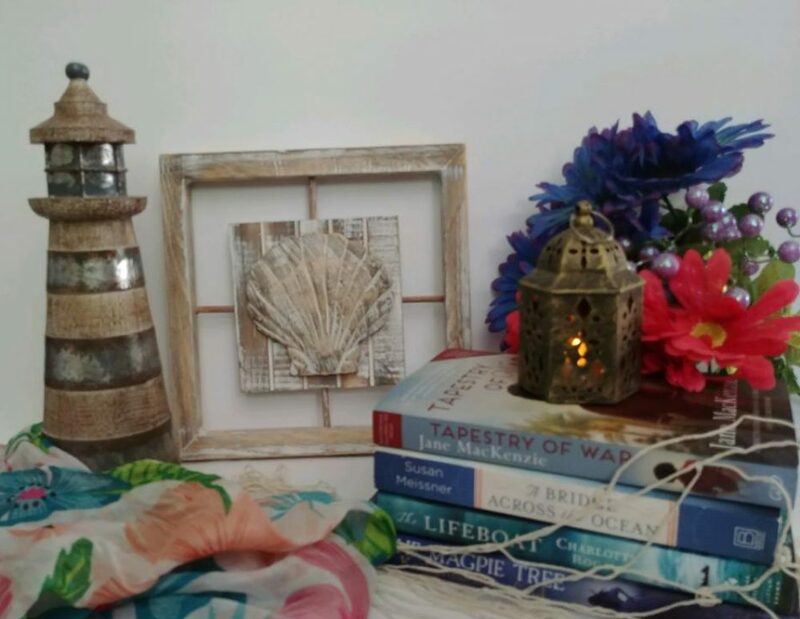 It is a daunting hurdle and it serves to reaffirm that a book such as, The Secret Life of Tumkit merits the investment of a reader’s time and money.